139 Grand River St. N.
NJH Transportation Logistics and management provides you with a single source for freight shipping transportation management and all support services. NJH will help you gain that competitive edge in your business by providing supply chain solutions designed for your business, and managed by a single source. 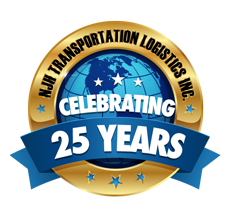 With 80 years of combined Transportation experience, NJH is a full service transportation logistics and management company whose primary focus is to provide reliable and cost effective transportation solutions. NJH Transportation Logistics and management can show you an immediate and dramatic reduction in the overall cost of your freight ship, logistics and transportion, from reduced freight costs, timely scheduling, freight bill auditing and filing claims. When distribution is critical to sustained profitability, NJH Transportation Logistics and management provides the most "results driven" solutions. Speak to our highly specialized supply chain solution experts today! © 2012 NJH Transportation Logistics Inc. © All rights reserved.